Yes, just like you, we too receive 100’s of emails weekly from so called SEO Companies claiming they can increase our traffic, rankings and make us so popular on the Internet that we would be multi-millionaires by the morning! Unfortunately in today’s competitive world, it’s hard to distinguish between legitimate online businesses that provide ethical web development and SEO services. With so many different knowledge areas, online help, Youtube videos and references anyone in front of a computer and with some time and patience can become a so called “SEO Expert” in the field of SEO Consulting. So when approached by a Search Engine Optimisation Company what are some of the questions you should ask them? Is there a check list? How do you trust a company that states they can increase your ranking in 30 days? These are some of the tips we provide our own customers in a white paper called “Get to Know your SEO Consultant”. 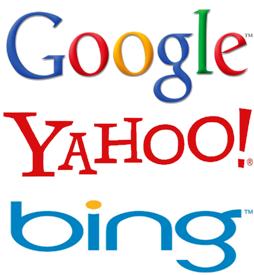 Here are some tips to either ask yourself or the SEO Company offering the services. Yes these tips seem to be all common sense; however small business either due to time and work constraints get wrapped up in the sales pitch, the targeted email or the convincing phone call that you forget the most basic of business decisions. (1). Google clearly states that no one can guarantee a number one ranking in their search engine. Read the Search Engine Optimization (SEO) guide from Google. It’s FREE and has a wealth of knowledge to help with your site. If the SEO Company guarantees number one ranking, straight away suspicions should be raised. (2). “Google” the company name offering the SEO Services. Do they have a great listing in Google? After all if they offer the service then optimisation on their own site should be excellent. Check their own PR rank and if needed ask them for a keyword that they rank highly. Note: Ask them for a keyword or phrase that is not included in their domain name. Then check the keyword popularity to see how much traffic the keyword receives. It’s no secret that domain name with a keyword will always rank well, so disregard these words and look for high competition phrases ranking well on search. (3). How does the company collect back links and optimise your site? An important question to ask, as back links are the life line of your site. There are ways to find out if the company is using Black Hat SEO to cheat the search engines. Black Hat will see your site banned, penalised or loose rankings over time. Article on “Unnatural Link Penalty In Full Force From Google“. Always select White Hat SEO options and choose ethical companies to provide the services. Ask for a list of optimisation techniques the company will use on your site. Ask for customer references and then check customer’s website online using tip number two. (4). Check pricing vs industry standards vs multiple quotes. Having a cheap provider can end up costing more in the long run and paying more doesn’t mean you will get a better service or a higher ranking. Spend some time researching pricing. What do you actually get for the price? Do you get on-page and off-page SEO? Do you get reporting? Do you get a result? Are the results trackable? Is this an ongoing service, daily, monthly, yearly? Check for recurring and website maintenance charges. (5). What’s your gut telling you? Once you have all this information go with a team that you feel confident in achieving your business goals. Make a phone call to them, ask for a meeting, pickup customer references. Done right, your site will succeed. Done incorrectly you will pay the ultimate price of closing down due to a substantial decrease in web traffic. Yes there is a lot of pressure to get it right, so spend some time on the research. There are millions of online businesses launching every single day. Unfortunately most businesses owners don’t fully understand SEO and how SEO can help grow your business. With so many spammy emails and so called SEO Experts, business owners get fooled in guarantees and false promises. Do your research by checking the company online as well as social media sites and online customers. CMather Web Development in Bendigo helps thousands of online businesses achieve their advertising and marketing goals. For unbiased and customised help with picking an ethical search engine optimisation company, contact our help desk or request a free worldwide call back on 1300 628 437.